Those of us who braved hell (the chaos of the construction work around and in Ravindra Bhavan, Margão –honestly, what were the organizers thinking?) and high water (the sudden rainstorm) to hear the international baroque ensemble Music Fiorita from Switzerland were well-rewarded. Musica Fiorita’s demure founder, artistic director and conductor Daniela Dolci has spent the last twenty-odd years poring over archives in search of music by long-forgotten ancient Baroque composers and restoring them back to the public domain. The theme of the evening was “Lettera Amorosa” (Love Letters).The secular music of the late Renaissance and Baroque composers Tarquinio Merula, Dario Castello, Barbara Strozzi, Michael Praetorius, Marco Uccellini, Biagio Marini, Giacomo Gorzanis, and Antonio Vivaldi was grouped by Dolci into three suites, representing three love letters that were splendidly brought to life by the dancers of ‘Il Ballarino’, a Baroque dance ensemble from Italy. Most of these works (e.g. 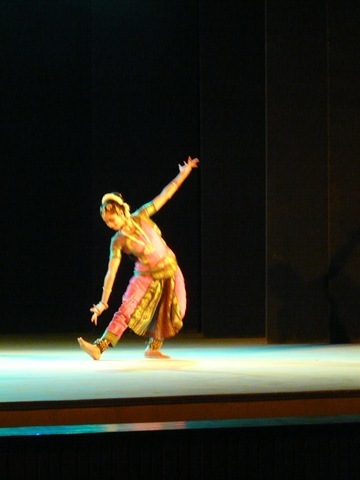 Pavana. Gagliarda, Volta, Ciaccona, Spagnoletta, Bergamasca) were composed for the express purpose of being danced to, often at princely and royal courts. For instance, Michael Praetorius’ vivacious La Volta was a particular favourite of the great English queen Elizabeth I. Nick Nguyen both directed and joined in Il Ballarino’s graceful, light-footed and lively execution of these delightful vignettes of bygone stately court elegance. 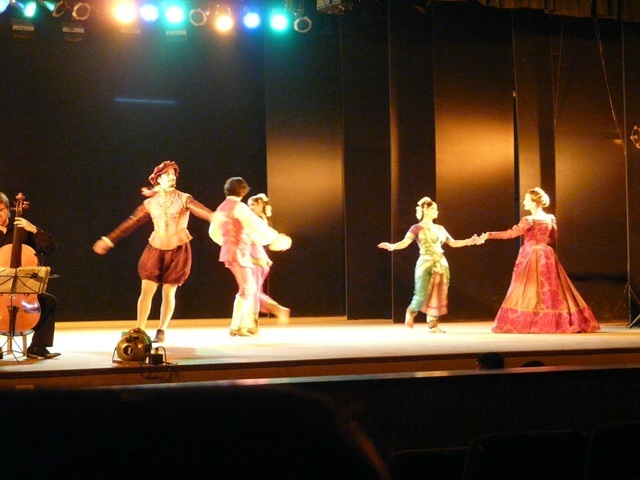 The addition of two Bharat Natyam dancers to the forces of Il Ballarino at once drew the contrasts between Western and Indian dance sharply into focus, yet demonstrated how wonderfully and convincingly they could be brought together. It was particularly glorious to see the male dancer sweep up his Indian counterpart “en l’air” in a majestic synthesis of the two styles. The Indian dancers were exquisite in their use of the anklets to add percussive emphasis to the melody. The dream sequence in the love letters, where Western courtier falls in love with fair maiden from the East, had an ethereal quality worthy of a Salman Rushdie novel. Dolci led the music ensemble from the harpsichord (cembalo), a purpose-built “travel-size” version of the real thing. The other period instruments variously included baroque violin, theorbo (a lute-like instrument), baroque guitar, violoncello, recorder, and percussion. The articulation was crisp and clear throughout. There were bravura passages for each of these instruments, and Miki Takahashi (violin) in particular shone when her melodic line caught the limelight. Tarquinio Merula’s Ciaccona had been performed exactly a year ago in Goa by another baroque ensemble (La Gioia Köln), and hearing it again, played this exquisitely, was like being revisited by an old friend. May these visits increase, and may we welcome them in even more hospitable surroundings than we did this sterling ensemble.